Verde Valley CSA provides produce from a variety of farms throughout the Verde Valley including Marilyn’s Orchard, Oak Creek Apples, Sanders’ Farm, Tickaboo Ranch, Bent River Ranch, Sunnyside Farm, and others. Below are profiles of our two primary farms, whose produce is included in each week’s share. 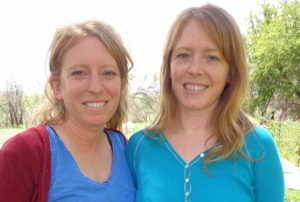 Denise Gould and her two daughters, Hope and Hilary Barnett, have farmed at Willowbrook Farm in Camp Verde for close to 20 years. Denise has a background in education and a Master Gardener certification, and has been in the landscaping/farming business for most of her life. Hope is a teacher during the school year and Hilary lives in Kansas during the winter season. 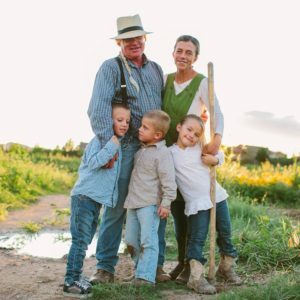 They spend the growing season farming and selling produce to the CSA and the Verde Valley Farmers’ Market. Their focus is to grow good healthy soil and to provide naturally grown, nutritious food to the community. Whipstone Farm is a family farm located in Paulden, Arizona, about 25 miles north of Prescott. Established in 1995 as a large garden that produced more food than their family could eat, Whipstone has grown every year since then and now has 15 acres in production. Shanti and Cory grow over 100 varieties of vegetables, as well as flowers, herbs, and eggs. They sell produce through CSAs, at three farmers’ markets, and to local restaurants. Everything Whipstone grows is done naturally and conscientiously; they do not use any synthetic fertilizer or chemical pesticides. Shanti and Cory enjoy growing food for our community and welcome anyone to come out and see the farm and ask about their growing practices.